Sunnyside Cottage is very well positioned in a quiet sunny corner of the Ballybunion Holiday Cottages complex just a five minute walk from the town and just ten minutes walk from the beach. 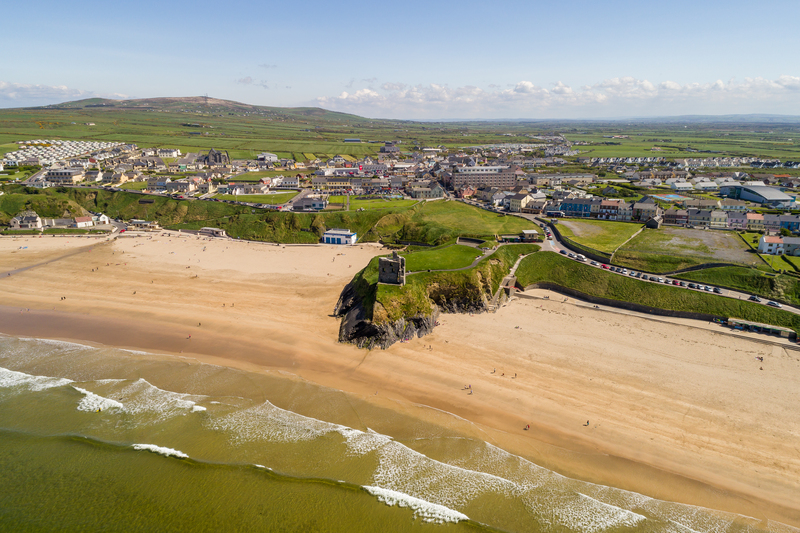 Ballybunion is a wonderful stop off on your Wild Atlantic Way journey along the west coast of Ireland. The market town of Listowel which is home to the famous Writer’s Week festival and Horse Racing festivals in June and September is only a short drive away. Other features in the town are Seanchaí Centre, Listowel Castle, Lartigue Railway and River Walks. Tralee which is famous for the Rose of Tralee festival in August is only half an hour away. You will be spoilt for choice with things to do such as shopping, cinema, aqua dome, bowling, Tralee Wetlands, Blennerville Windmill, Playdium Indoor Play Centre, Kerry County Museum and horse riding. Trump International Golf Club Doonbeg and Lahinch Golf Club are both within easy access of the Car Ferry. While in Tarbert visit the Tarbert Bridewell, a courthouse and jail used for the dispensing of justice in the early 1900s. Café and tourist office open daily including genealogy information. Tarbert also has a beautiful walk known as the John F Leslie Woodland Walk that’s worth a visit. Killarney and The Ring of Kerry are very accessible from Ballybunion. Spend a day exploring all that Killarney has to offer. Torc Waterfall, Muckross House & Gardens, Killarney House, The Gap of Dunloe, Kennedy’s Pet Farm, St. Mary’s Cathedral, Killarney Outlet Centre and lots more! A day trip to Dingle is also a must! Take a boat trip to see Fungi and visit the Blasket Islands. Visit the Aquarium and Louis Mulcahy’s Pottery shop on your drive around Slea Head. Climb Mount Brandon and enjoy spectacular views of Brandon Bay and the Maharee Islands.